The Peace Museum is a non-profit organization run by volunteers and dependent on the generosity of its members and sponsors. Please make a donation and join us in waging peace! We all want empathetic and kind children who will go on to achieve great success and enjoy true happiness. But why do studies find that kids today are 40 percent less empathetic than they were thirty years ago? Why are kids less happy and more stressed than in past generations despite our love? Why is peer cruelty increasing and bullying starting at younger ages? And what can parents and educators do about it? As an internationally recognized expert and author on children, teens, parenting, bullying and moral development, Dr.Michele Borba, Ed.D., addresses this issue head-on. 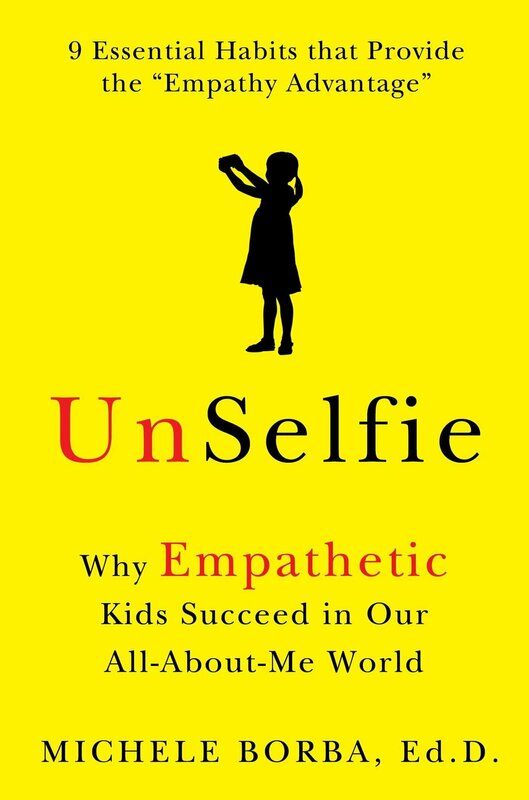 In her new book, UnSelfie: Why Empathic Kids Succeed in Our All-About-Me World. Borba provides tools parents need to teach their children empathy—and explains why caring for others is actually the essential skill that will give today’s young people a leg up the rest of their lives. Michele Borba’s work aims to help strengthen children's character and resilience, build strong families, create compassionate school cultures, and reduce peer cruelty. Dr. Borba is a family and parenting contributor for the TODAY Show, and has appeared on the Early Show, Dr. Phil, CNN, and Fox News. . She is the author of over 22 parenting and educational books. Free Admission! Seats are first come. No Childcare Available. Book- signing starts at 6:30pm.